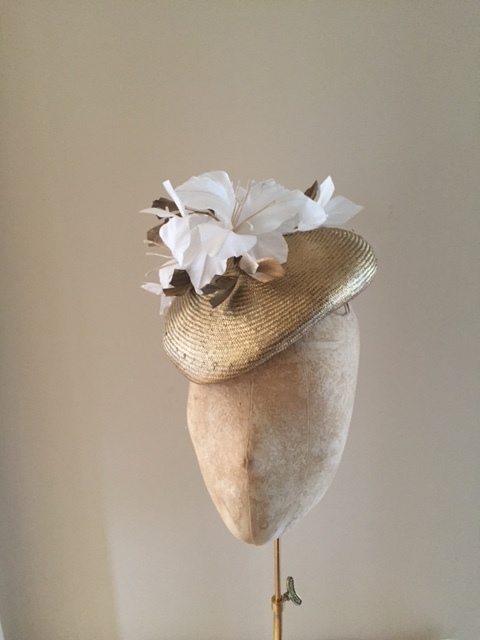 Parasisal (straw) cap base with beautiful hand cut lillies and cut feather trimming. 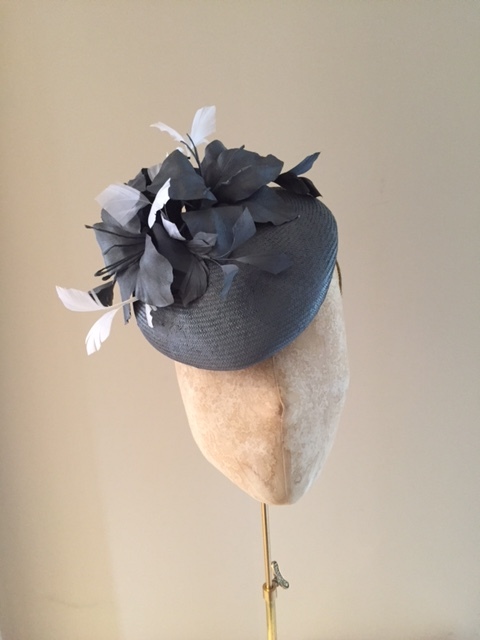 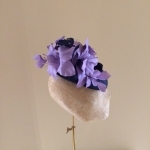 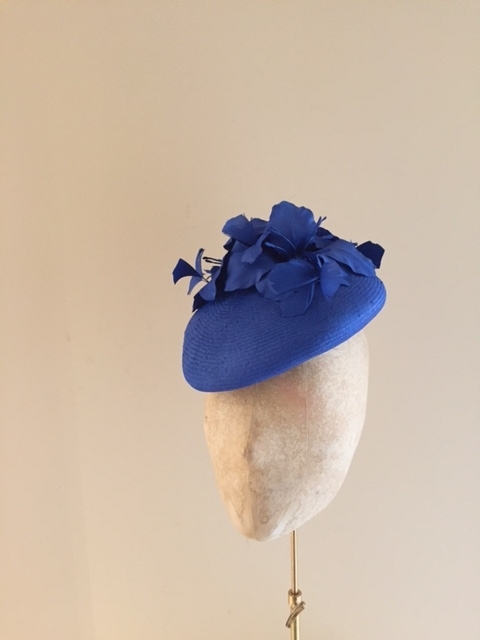 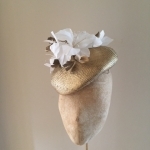 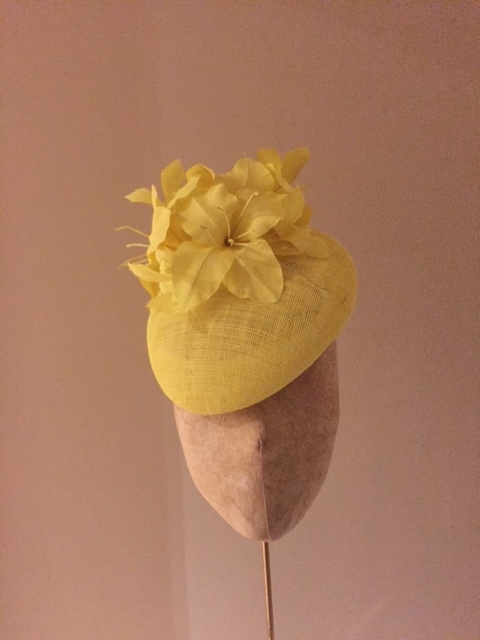 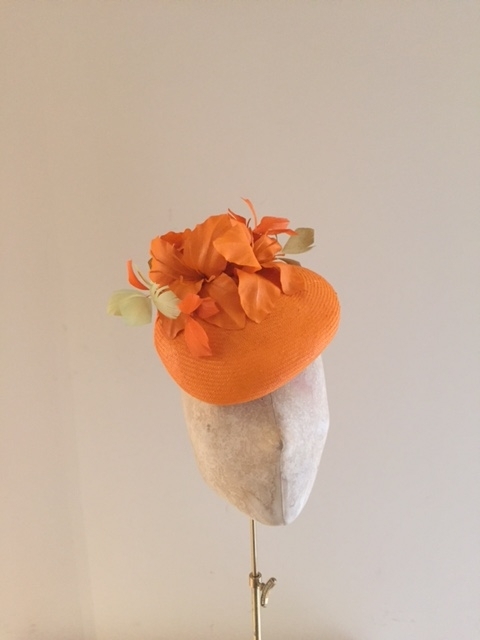 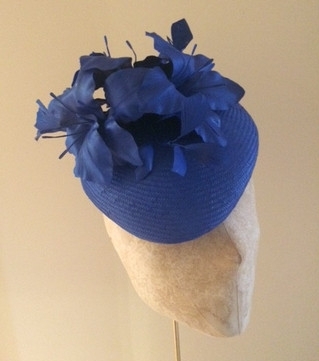 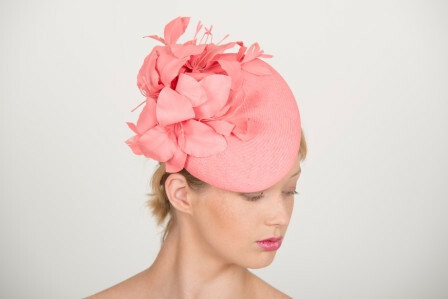 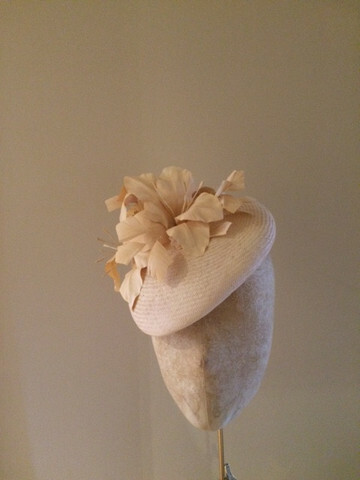 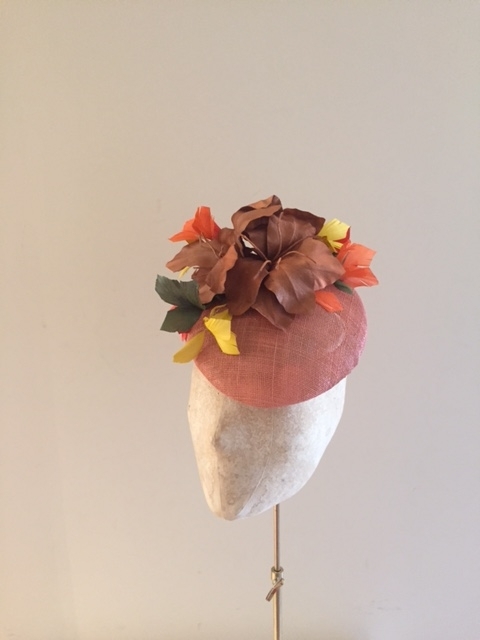 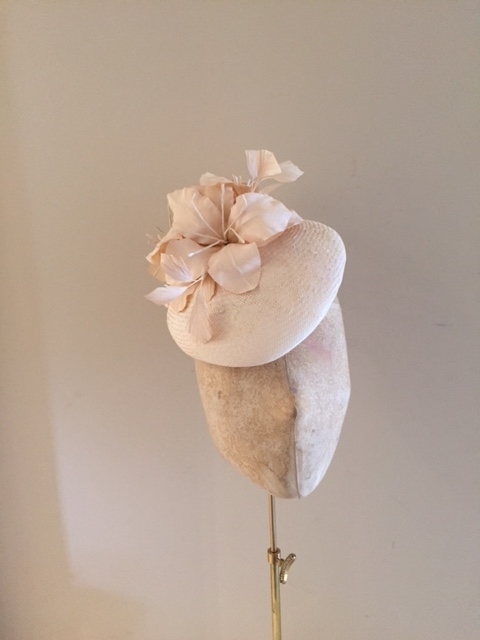 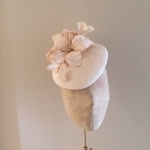 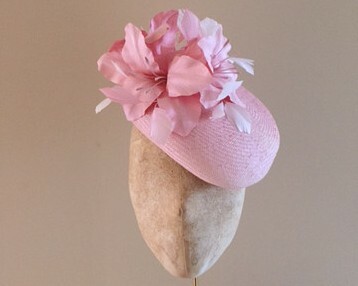 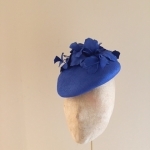 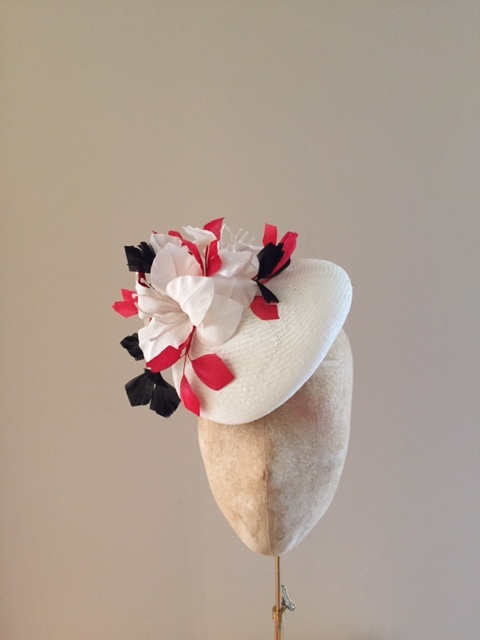 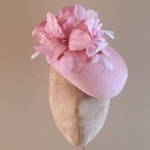 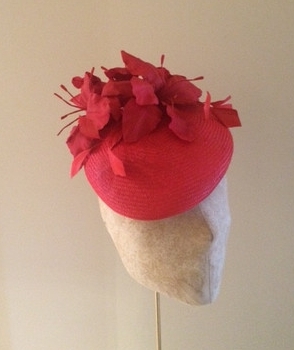 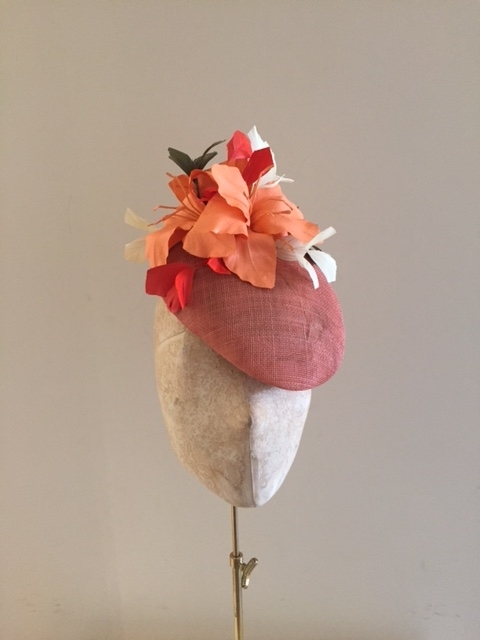 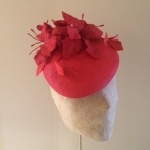 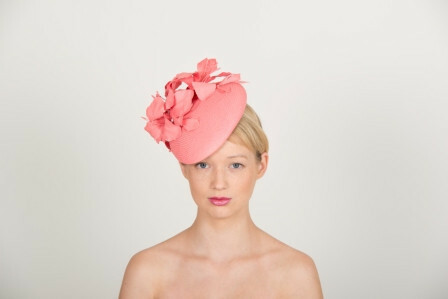 This beautiful pillbox hat is one of our favourites this season. 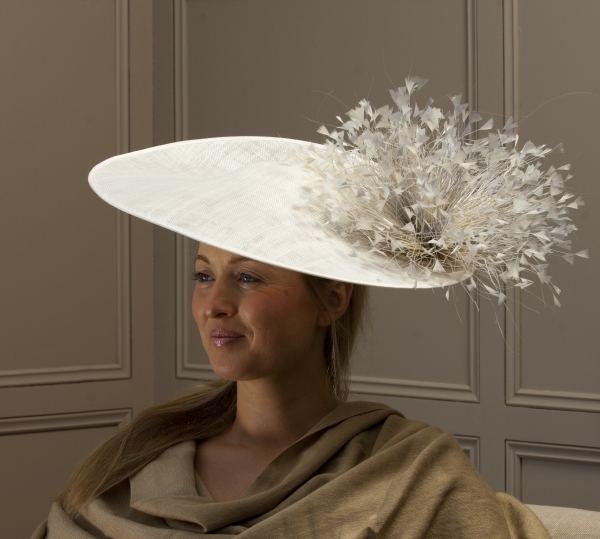 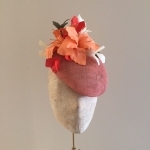 It is a very flattering and popular style made of a parasisal (straw) cap base with beautiful hand cut lillies and cut feather trimming. 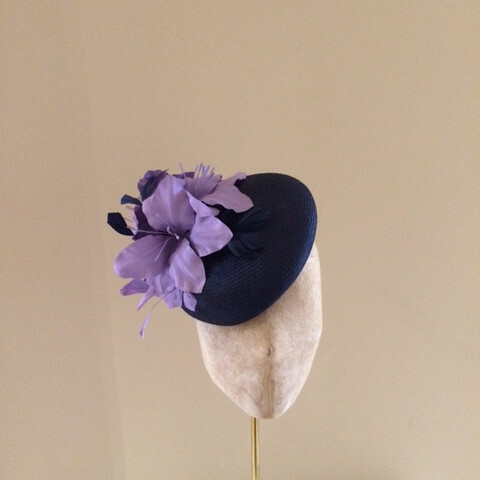 The Balmoral Pillbox can be worn on either side of your head and is attached by elastic. 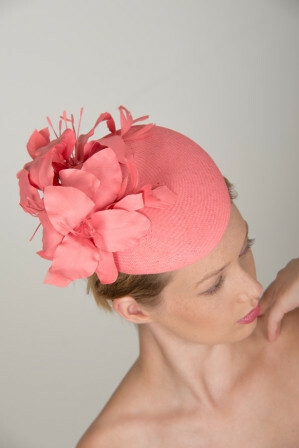 Pull the elastic under your hair and position to one side above an eyebrow and it will look perfect! 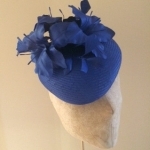 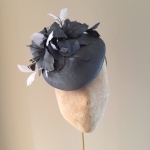 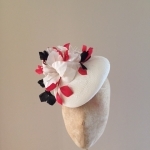 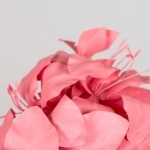 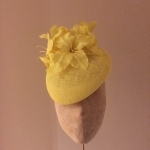 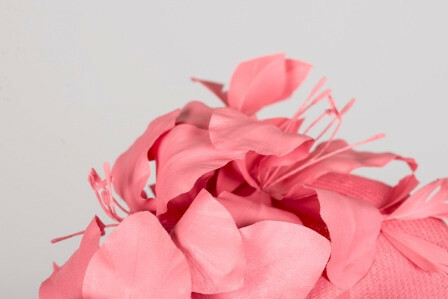 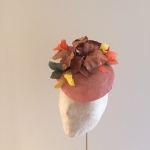 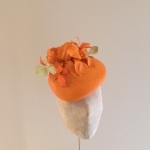 If you need a hat urgently just pop us an email and we can see what we can do! 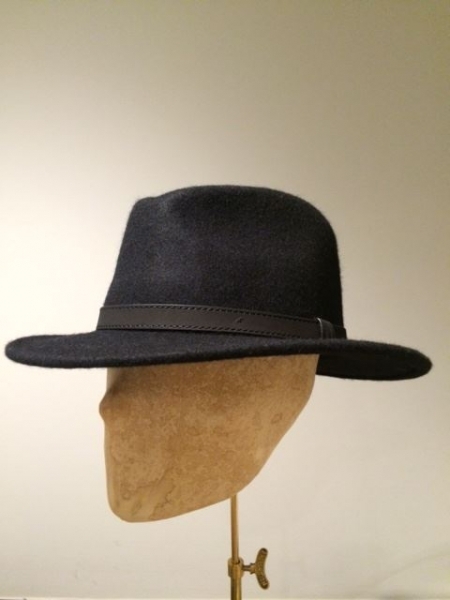 Thank you for getting the hat to me so quickly. 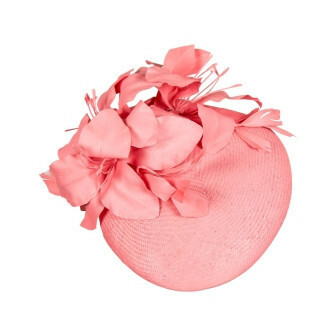 I got a lot of compliments on it at the wedding. 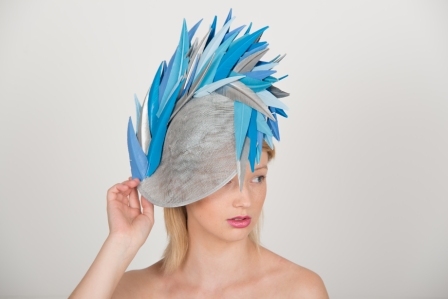 Quite the most stunning hat imaginable. 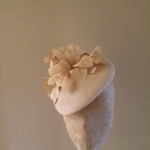 Beautifully designed and decorated to perfection.